There are mainly series of 1050, 1060, 1100. The 1×××series belongs to the series that has the highest aluminum content, and the purity of it can be more than 99.00%, not containing other metal elements, as a result, the production process is single and the price is relative cheap, it is the most commonly used serried in the industry. There are mainly the 1050 series and the 1060 series on the market. The last two number of the 1×××series shows the lowest aluminum content of the series, for example, the 1050 series, the last two number id 50. According to the name principle of the international brand number, the content of the aluminum must be more than 99.5%, and then it can be deemed as the qualified products. 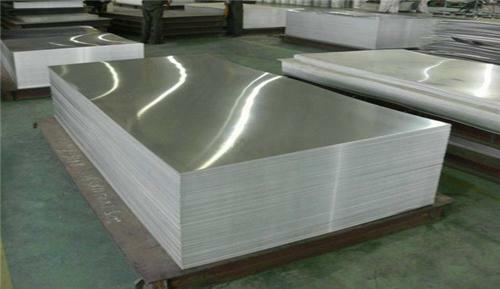 In the technical standards for aluminum alloy of China, (gB/T3880-2006), it is also clearly regulated that the content of the aluminum sheet 1050 must be more than 99.5%, to the same, for the 1060 series aluminum sheet, the content of the aluminum sheet must be more than 99.6%. Later, I will introduce the rest series in the following articles, please keep close eyes on the updating, the more information you can also visit the website of Haomei Industrial Co., Ltd.